Fernando is the Human Resources Director, with over 30 years of work experience in the areas of personnel and human resources. In Human Resources and Personnel areas, Fernando has worked as head of personnel for 20 years for Hotel Quinta do Sol and two other hotels the group acquired. 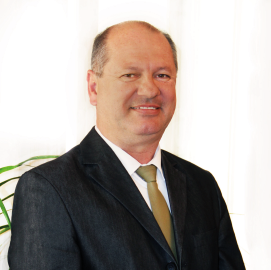 As Director of Human Resources, Fernando worked for ICAMS, a consultancy and accounting firm in Madeira, Sontax Human Resources, in Madeira, and DIKE Madeira, a consultancy firm operating within the scope of the International Business Center of Madeira. In other areas, Fernando started his career working for six tears in the treasury department of Club Sport Marítimo, a Portuguese 1st League football club, and most recently as General Manager of DIKE Trustee.